Today is a great day! 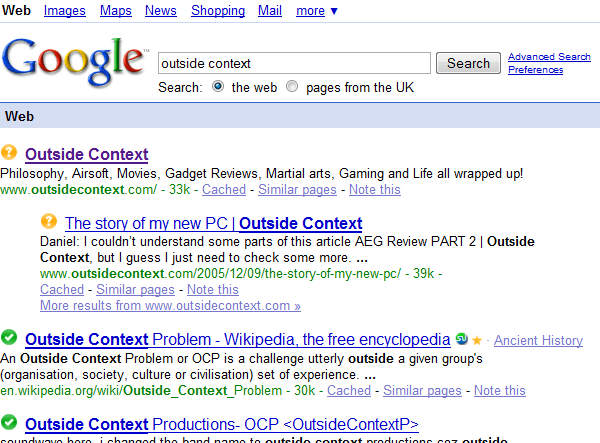 www.outsidecontext.com is now (for the moment at least) the number one hit on Google for “outside context”. I have finally beaten the seemingly cheating Wikipedia entry! Time to celebrate! Now, to keep the top content flowing!, thanks to all for your help in making this possible.